The Freecycle Network is a website where you can get all kinds of free stuff in your area or give away items that you don't need or want anymore. It's really a great way to get free stuff but also a great way to reuse something that might have ended up in a landfill otherwise. You can find just about anything for free on Freecycle! 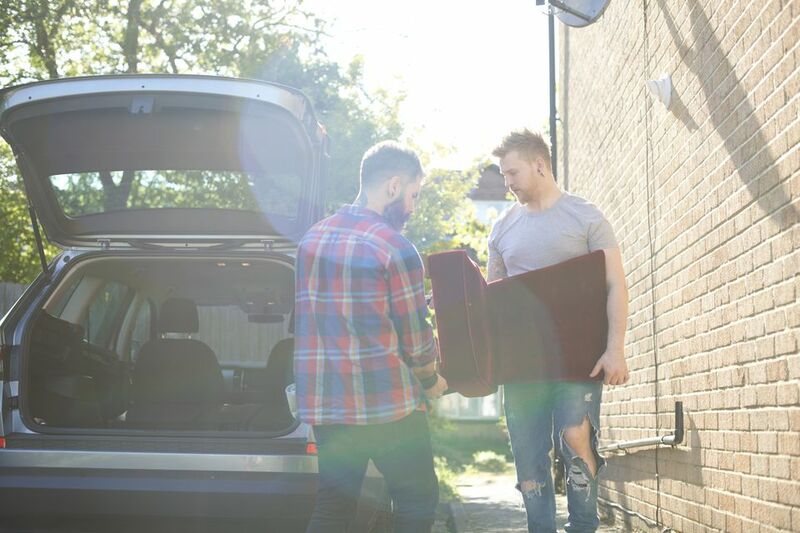 Whether you're looking for free furniture, baby stuff, collectibles, craft supplies, kids clothes, or even free books, you'll find them plus a whole lot more on Freecycle. With Freecycle, someone's trash is indeed someone else's treasure. Visit Freecycle and enter your city and state and click Go to see a list of Freecycle groups in, or close to, your town. Click on the town's Freecycle group you'd like to join. You can join up to five Freecycle groups, so if you live close to other towns, you may want to join those groups as well. If it's your first time using Freecycle, it's a good idea to read the sticky note at the top of the group forum to get more details on how to use your city's Freecycle board and the rules and etiquette for the group. Use the orange tabs at the top of the page to view the "Offers" and the "Wanteds" or the "All Items" tab to see everything that's being offered for free and requested for free. Before you can do anything other than browse, you'll need to create a free account at Freecycle or log into an existing one. Keep in mind that some groups accept new members automatically while other groups may take a few days to approve your membership. After you've been approved as a member of your local Freecycle group, you'll receive an email telling you so. You're now free to visit your local Freecycle group and get free stuff. Be sure to read the member rules to read how and where to post to get the free stuff. Each group operates a little bit differently on how they want you to do things. For instance, some groups may want you to give away something for free before you request free stuff from other members. So make sure you read the rules and browse the posts before requesting any free stuff to make sure that you're following the rules of your group. If you'd like to give away your stuff for free on Freecycle, you're encouraged to do so. After you've been accepted to your local Freecycle group, you'll want to read the rules on how to give away your stuff. Again, each group operates a little bit differently so be sure to follow the rules. If you're not finding what you want on Freecycle, you can find out how to get free stuff on Craigslist. There's a separate section just for free stuff that people are offering up.